What's the cheapest rental available in Fresno? If you're seeking a new spot to live, you know how hard it can be to find a quality spot for a reasonable price. So what does the low-end pricing on a rental in Fresno look like these days--and what might you get for your money? We took a look at local listings for studios and one-bedroom apartments in Fresno via rental site Zumper to find out what price-conscious apartment seekers can expect to find. This one-bedroom, one-bathroom apartment, situated at 4885 N. Recreation Ave. in Hoover, is listed for $626/month for its 554 square feet of space. Building amenities include assigned parking and shared outdoor space. 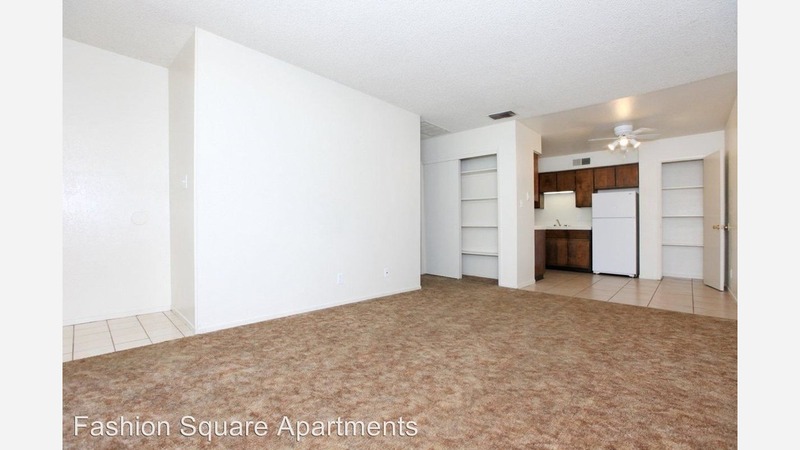 In the unit, look for air conditioning, carpeted floors, wooden cabinetry and a patio area. Sorry pet lovers, animals are not allowed. According to Walk Score, the area around this address is car-dependent, is relatively bikeable and has a few nearby public transportation options. And here's a one-bedroom, one-bathroom apartment at 104 N. Calaveras St. in Central, which is going for $695/month. The building features outdoor space, on-site laundry, a communal lounge and assigned parking. In the unit, the listing promises both central heating and air conditioning, hardwood flooring, stainless steel appliances, granite countertops, wooden cabinetry and ceiling fans. Water, sewer and garbage are included in the price of rent. Pet owners, inquire elsewhere: this spot doesn't allow cats or dogs. Walk Score indicates that the area around this address is moderately walkable, is convenient for biking and has a few nearby public transportation options. Over at 4650 N. First St. in Hoover, there's this 565-square-foot one-bedroom, one-bathroom, also going for $695/month. In the apartment, you're promised both air conditioning and central heating, a walk-in closet, carpeted floors, a dishwasher, tile countertops and built-in storage features. The building offers assigned parking, on-site management, secured entry, a swimming pool, shared outdoor space and on-site laundry. Water, sewer and trash included in the price of rent. Good news for animal lovers: both dogs and cats are permitted here. Walk Score indicates that the area around this address is moderately walkable, is bikeable and has a few nearby public transportation options. Listed at $710/month, this 800-square-foot one-bedroom, one-bathroom is located at 1959 W. Shields Ave. in Fresno High Roeding. Assigned parking and on-site management are offered as building amenities. In the unit, the listing promises a walk-in closet, hardwood floors, wooden cabinetry, ceiling fans and a patio. Pet owners, inquire elsewhere: this spot doesn't allow cats or dogs. Walk Score indicates that this location is moderately walkable, is fairly bikeable and has a few nearby public transportation options. Finally, there's this 699-square-foot one-bedroom, one-bathroom at 4294 N. Hughes Ave. in Bullard. It's being listed for $740/month. Apartment amenities include hardwood flooring, air conditioning, high ceilings, a walk-in closet, granite countertops, wooden cabinetry and a breakfast island. The building offers on-site laundry and assigned parking. Sorry animal lovers, pets are not allowed here. Per Walk Score ratings, the surrounding area isn't very walkable, is bikeable and has a few nearby public transportation options.